This fabulous custom home conveniently located near the amenities and loaded with upgrades is a "must see" for the discriminating buyer. Enjoy spectacular views from most rooms and the expansive outdoor areas or entertain with the chef's kitchen featuring a Subzero fridge,Thermador appliances and the terrrace level bar and climate controlled wine cellar. ***Special features are too numerous to mention here but a list can be accessed on this listing by your agent. 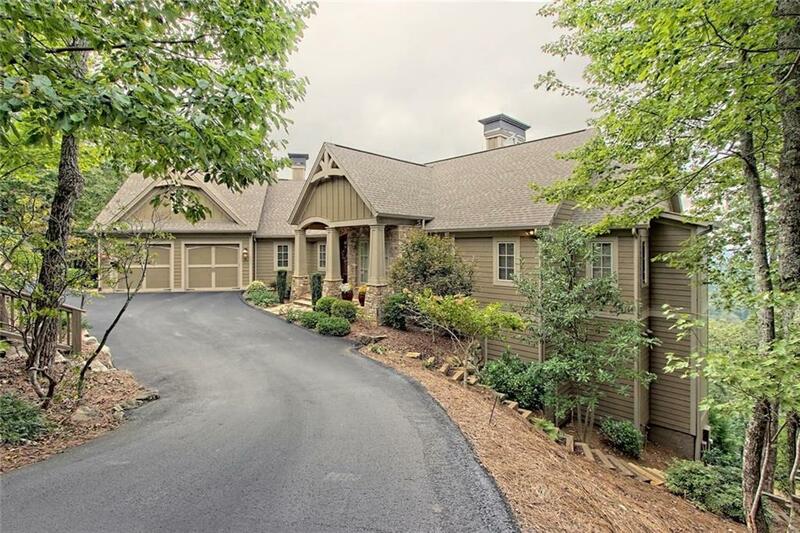 It is time to come home to stress free living in the beautiful Blue Ridge mountains of Big Canoe. Directions: North Gate To Left Onto Summit Drive. Stay Left Onto Summit East House Is On Left.